By default, users do not have permission to delete assignments. To change this, click on the Permissions tab. 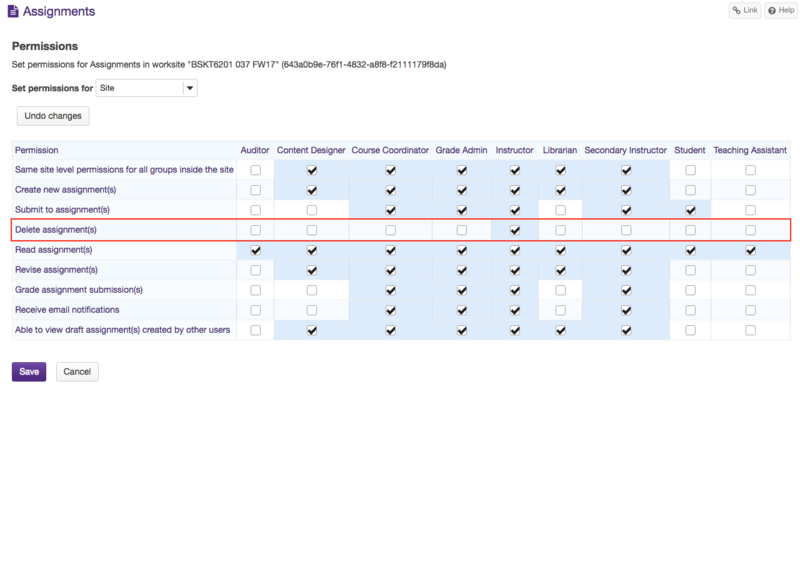 To allow yourself to delete an assignment, check the box under "Instructor" in the "Delete assignment(s)" section. Click Save to return to the Assignment List. On the "Confirm Deletion" page, click the Delete button to confirm the removal of the assignment(s) you have selected. Warning: Deleting an assignment will also delete any submissions.